Sunday, 1:30pm. Facebook conversation between Peachy and Magpie. Peachy: Sometimes, I kind of wish I had fur. Is that weird? Magpie: Nah, I’ve been there. Peachy: It would be SO CUDDLY. Magpie: So soft, and so nice. It would multiply the niceness of cuddling up in a blanket by a factor of like, a million. Peachy: EXACTLY. You wouldn’t even need a blanket. You would be a blanket, and you could bury your face in YOURSELF, and exist as the purest form of cuddles. You wouldn’t even need a bed. Magpie: The potential for comfort here is infinite. Every surface would be comfortable. You could curl up and nap, anywhere, anytime, because you would be a living cushion. Peachy: Pavement? Not anymore: potential nap place. Desk? Pfft. Nap place. Peachy: I wish I was furry. Evolution can be so cruel. Magpie: We’ll just have to content ourselves with the fact that clearly, our souls are furry. Peachy: Yeah, cold and black and twisted and cuddly and furry. Magpie: We’re complicated human beings. Can you believe that neither of us is a philosophy major? I sure can. Where has the year gone, amiright? 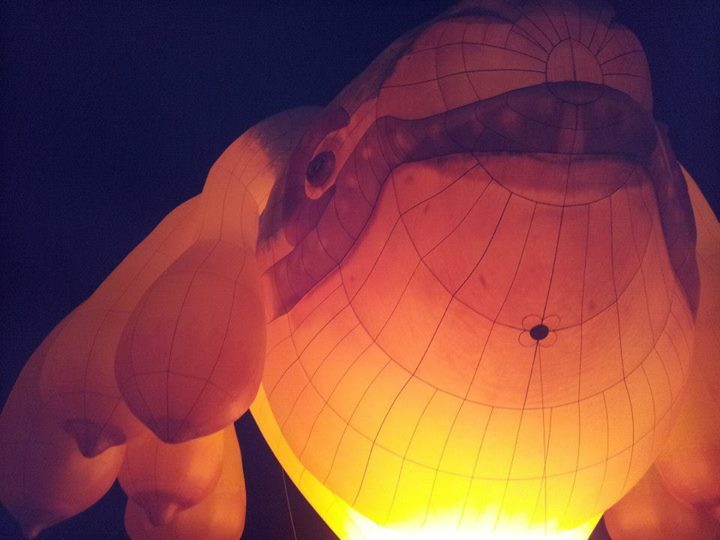 Almost five months ago, co-blogger Shon wrote this article about The Skywhale, a monstrous multi-mammaried beast in the form of a hot air balloon. 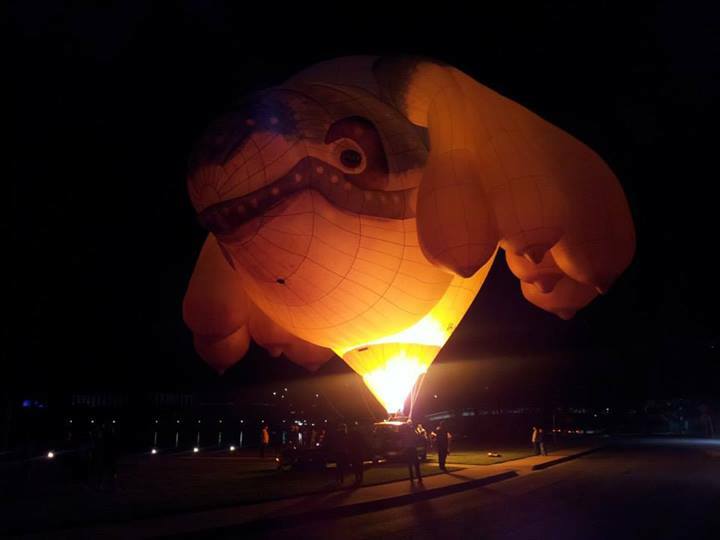 As the article explained, the balloon was designed by Patricia Piccinini and commissioned by the ACT government to celebrate Canberra’s 100th Birthday. Long story short, late last week, Shon and I MET THE SKYWHALE. IN REAL LIFE. It was dark, because we were attending Floriade’s Nightfest (a spring festival in Canberra). 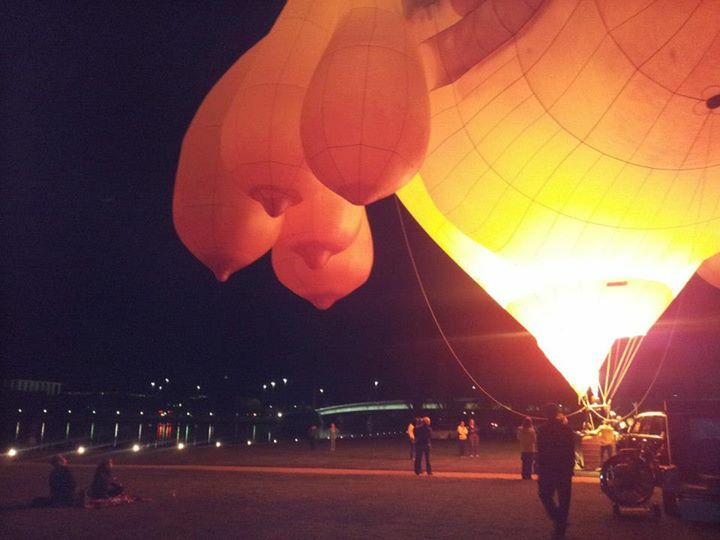 But Skywhale made an appearance, and we were most irrationally excited. Here are a few eerie dark pics that we managed to snap. 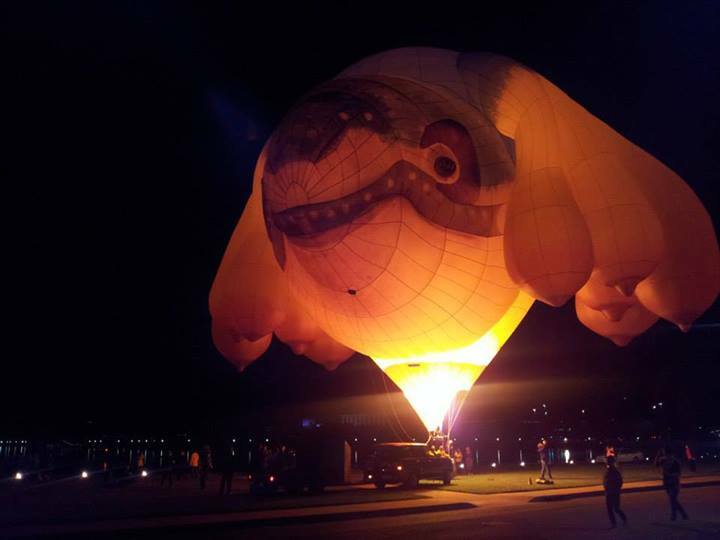 While art criticism is more Shon’s area of expertise, I’m gonna throw my two cents in and declare that the Skywhale is damn awesome. It is gloriously conflicting, teetering on the borders of hideous and majestic. Disgusting and adorable. It’s like a horror movie you can’t look away from. 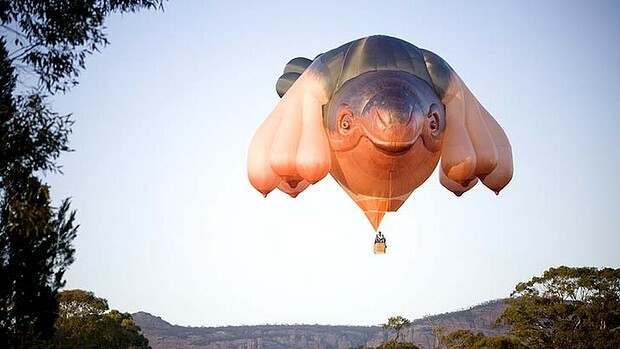 Polarising and brilliant, the Skywhale has become somewhat of a celebrity around these parts. Lucy: It’s like my dreams and my nightmares are colliding. In the four wonderful months since Guide to Nothing burst from the womb of intellectual friendship*, I don’t think i’ve done a nice informal blog. I had originally planned this one for a calm Friday night, but alas life has been busy, work has been constant, and my poor prose has been somewhat neglected. “When is the best time to write a blog post? A lot of people have a favourite place. Whether it’s a corner of a cafe or your very own bed, a beach in the Bahamas or a house from your childhood. In general I think there’s a difference between liking somewhere, appreciating its beauty and its significance, and feeling a sort of raw ownership of a place that is ‘yours’. Anyway, I just thought it was an interesting thing to think about because as a migrant, I often feel a conflict between favourite places. Recently I visited the village I grew up in. A lot of places are beautiful. A lot make you feel safe and happy. But there is a raw affinity I feel with two corners of this very big world. Photographs are the property of guidetonothing.wordpress.com and were taken by my very talented sister. 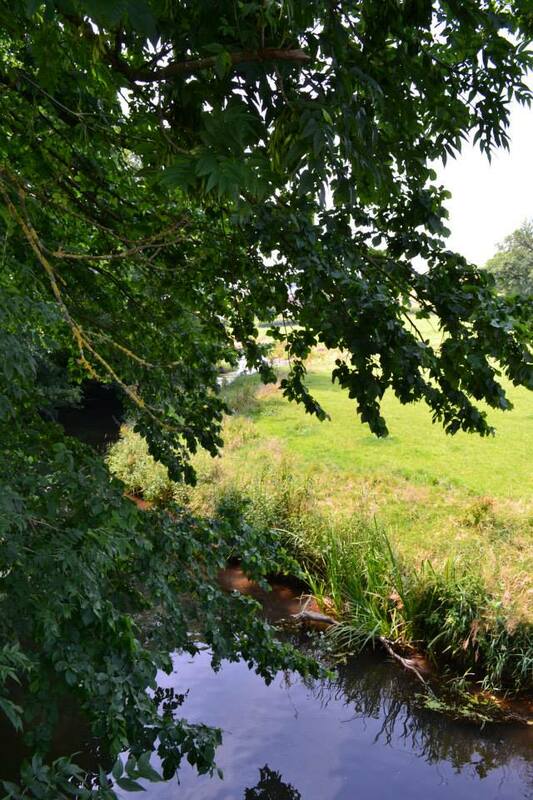 The first is a river that my sister and I used to play in as kids. The stone of the bridge is covered in lichen and moss, and the hills surrounding are an old rich green. It has a close familiarity. It’s as beautiful in the winter as it is in summer. It reminds me of being young and entirely bare to the sensations of living, the vivid contrast of summer warmth and the gasping relief of sharp, icy water. 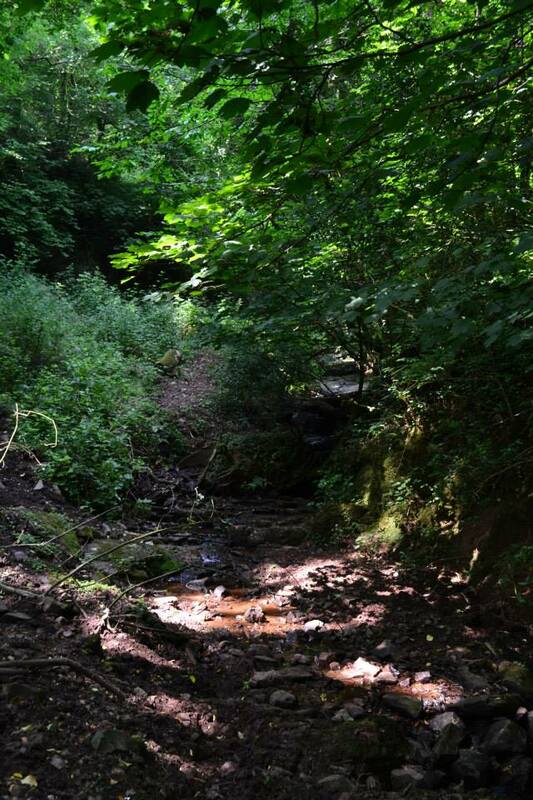 The second is an anonymous stream in the elbow of two hills. It’s sheltered by alder trees and if you follow it all the way up, it leads to a small waterfall and then a derelict hut. This place is something out of a fantasy book, but has a modesty that could only belong to its very real surrounds. We once followed it for hours and stumbled upon a farmer with a gun, the very last time we went that far! Nevertheless, it’s one of those places of nostalgia where you feel an exhale of the soul. I would love it if people would share with me their own favourite places. As i’ve said, it can as modest as your own bed on a rainy night. We share this beautiful world, but some places just feel like your own. Text message conversation between Peachy and Magpie, at around the midday mark. Peachy: I just went back into a lecture theatre to look for my glasses. They were on my face. Any plans for today? Magpie: Nice. I was going to go to the gym with JimBob,* but I’m really not feeling it. Peachy: You sure? I thought I saw a flying pig earlier. Magpie: Pics, or it didn’t happen. My only plan for the day right now is to get me some breakfast. You? Peachy: I’m going into town later, if you want some fresh air. Going to Centrelink though, so it might be boring. Magpie: Ew, Centrelink. 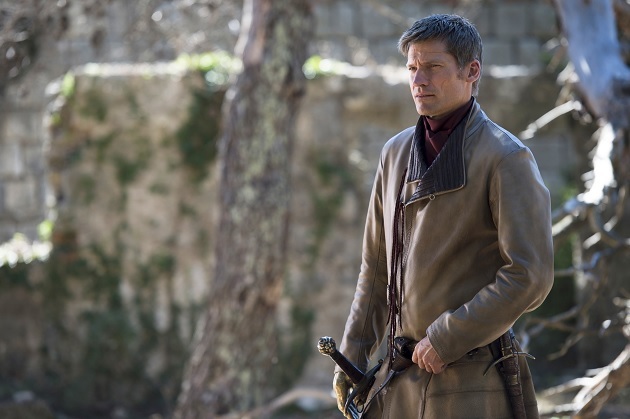 I dunno, I’ve got four hours of lectures to watch… I’m in.